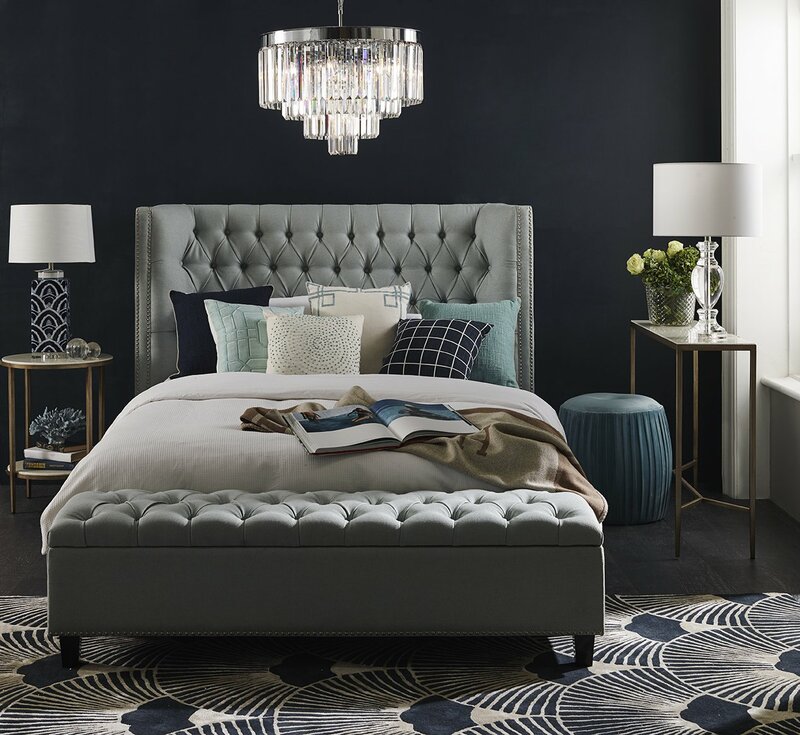 If you are looking for a more elegant way to style your bedroom, but are also inspired by more coastal colours, then mixing dark blues, natural colours, white, and beachy blues with the added element of glass accents can create a space like the one pictured above. Contemporary style design encompasses several different styles that incorporate both neutral colours and bold colours that put more focus and emphasis on the lines, shape, and form of the room. The contemporary style is always changing and can easily be switched up to better showcase your own personal space within the room. A darker wall with a darker rug can also help make the other pieces in the room pop with little effort while creating a space for relaxation and tranquillity in a modern and more contemporary aesthetic with coastally inspired splashes of colour.